Mortimer Benjamin Zuckerman (born June 4, 1937) is a Canadian-born American media proprietor, magazine editor, and investor. He is the co-founder, executive chairman and former CEO of Boston Properties, one of the largest real estate investment trusts in the United States. Zuckerman is also the owner and publisher of U.S. News & World Report, where he serves as editor-in-chief. He formerly owned the New York Daily News The Atlantic and Fast Company. On the Forbes 2016 list of the world's billionaires, he was ranked No. 688 with a net worth of US$2.5 billion. As of February 9, 2018, his net worth is estimated at US$ 2.7 billion. Zuckerman was born in Montreal, Quebec, Canada, the son of Esther and Abraham Zuckerman, who owned a tobacco and candy store. His family was Jewish, and his grandfather was an Orthodox rabbi. Zuckerman entered McGill University at the age of 16. He graduated from McGill with a BA in 1957 and a BCL in 1961, although he never took the bar exam. That same year, Zuckerman entered the Wharton School of the University of Pennsylvania, where he earned an MBA degree with a distinction of honor. In 1962, he received an LLM degree from Harvard Law School. After graduating, Zuckerman remained at Harvard Business School as an associate professor for nine years. He also taught at Yale University. Zuckerman spent seven years at the real estate firm Cabot, Cabot & Forbes, where he rose to the position of senior vice president and chief financial officer. In 1980, he purchased the literary magazine The Atlantic Monthly, where he was the chairman from 1980 to 1999. In 1999 he sold the magazine to David G. Bradley for US$12 million. Commenting on this sale and that of Fast Company magazine, which he sold for $365 million at the height of the tech boom in 2000, he quipped, "I averaged out." While he still owned Atlantic Monthly, in 1984, Zuckerman bought U.S. News & World Report, where he remains its editor-in-chief. In 1993, he bought the New York Daily News, which he ran until 2017 when he sold the paper to Tronc. In addition to his publishing and real-estate interests, Zuckerman is also a frequent commentator on world affairs, both as an editorialist and on television. He regularly appeared on MSNBC and The McLaughlin Group and writes columns for U.S. News & World Report and the New York Daily News. While Zuckerman has varied in his party affiliations over time, since the late 1970s, he has donated more than $68,000 to US political candidates, with $42,700 going to Democratic politicians and $24,000 to independent interests. On July 12, 2010, Zuckerman said in an interview that he had helped to write one of President Barack Obama's political speeches. Long-time Obama speechwriters Jon Favreau and Ben Rhodes disputed that and asserted that neither "has ever met or spoken to Mort Zuckerman." Zuckerman later published a clarification of his remarks by stating that his help had come in the form of private conversations with various political officials in which he had offered advice and perspective on different issues. Zuckerman, a long-time supporter of the Democratic party who cast his vote for Barack Obama in the 2008 presidential election, was critical of President Obama on several fronts. Following the downgrade of US treasury debt by Standard & Poor's in 2011, Zuckerman wrote in The Wall Street Journal: "I long for a triple-A president to run a triple-A country." After initially supporting Obama's call for heavy infrastructure spending to revive the economy, Zuckerman criticized the composition of the plan: "if you look at the make-up of the stimulus program, roughly half of it went to state and local municipalities, which is in effect to the municipal unions which are at the core of the Democratic party." On Obama's healthcare reform bill, Zuckerman stated, "Eighty percent of the country wanted them to get costs under control, not to extend the coverage. They used all their political capital to extend the coverage. I always had the feeling the country looked at the bill and said, 'Well, he may be doing it because he wants to be a transformational president, but I want to get my costs down!'" In 1996, Zuckerman married Marla Prather (born 1956), a curator of the National Gallery of Art; they divorced in 2001. Zuckerman became a US citizen in 1977. On December 19, 2008, Zuckerman's second daughter, Renée Esther, was born; the mother was not identified. The child's birth was announced in the "Gatecrasher" column of the Daily News on December 23, 2008. He keeps houses in New York City, East Hampton, New York, and Aspen, Colorado. He also keeps a 166-foot Oceanco Yacht, the Lazy Z. For transportation, he previously owned a Falcon 900 corporate jet but has recently purchased a Gulfstream G550. On the November 28, 2014, episode of The McLaughlin Group, Zuckerman said he was a vegan and has been since 2008, confirming what in November 2010 had been published in Bloomberg Businessweek, "The Rise of the Power Vegans." Zuckerman last appeared on The McLaughlin Group on July 31, 2015, making a strong case for Texas governor Rick Perry's presidential run during that episode. A day later Zuckerman issued a statement that he would not be appearing at the East Hampton Artists-Writers softball game, the first time he would miss the game since 1993. The same month, the New York Post reported he turned over the sale of the paper to his nephews and has commented minimally on its dissolution. In December 2012, Zuckerman pledged $200 million to endow the Mortimer B. Zuckerman Mind Brain Behavior Institute at Columbia University. Between 2001 and 2003, Zuckerman was the chairman of the Conference of Presidents of Major American Jewish Organizations. Typically, the nominating committee attempts to choose a person who is both respected and uncontroversial. However, Zuckerman was widely opposed by liberal Jewish factions. Nonetheless, Zuckerman was eventually elected and served a full term. In their 2006 paper The Israel Lobby and U.S. Foreign Policy, John Mearsheimer, political science professor at the University of Chicago, and Stephen Walt, academic dean of the Kennedy School of Government at Harvard University, named Zuckerman a member of the media wing of the "Israeli lobby" in the United States. Zuckerman replied: "I would just say this: The allegations of this disproportionate influence of the Jewish community remind me of the 92-year-old man sued in a paternity suit. He said he was so proud, he pleaded guilty." 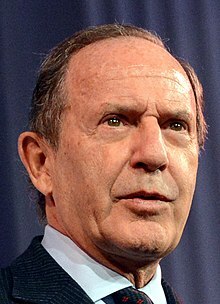 President George W. Bush appointed Zuckerman to serve on the Honorary Delegation to accompany him to Jerusalem for the celebration of the 60th anniversary of the State of Israel in May 2008. Zuckerman serves on the boards of trustees of several educational and private institutions such as New York University, the Aspen Institute, Memorial Sloan-Kettering Cancer Center, the Hole in the Wall Gang Fund, and the Center for Communications. He is a member of the JPMorgan's National Advisory Board, the Council on Foreign Relations, the Washington Institute for Near East Policy, and the International Institute for Strategic Studies. He has been a president of the board of trustees of the Dana-Farber Cancer Institute in Boston. Zuckerman has received three honorary degrees, including one from Colby College. He was awarded Commandeur de l'Ordre des Arts et des Lettres by the government of France, a lifetime achievement award from Guild Hall and a gold medal from the American Institute of Architecture in New York. Zuckerman is one of the investors defrauded in a "Ponzi scheme", by way of investments with Fifth Avenue Synagogue president J. Ezra Merkin who staked roughly 10% ($30 million) of Zuckerman's charitable trust fund with convicted scammer Bernard Madoff. Zuckerman has stated that all current charitable obligations will still be honored with no changes. At a forum at the YIVO Institute for Jewish Research in New York, he remarked that no one since Julius and Ethel Rosenberg, executed in 1953 for giving atomic secrets to the Soviet Union, "has so damaged the image and self respect of American Jews." On April 6, 2009, Zuckerman filed a lawsuit against J. Ezra Merkin and his Gabriel Capital LP. The lawsuit claims fraud and negligent representation and seeks unspecified punitive damages. Merkin had a "huge incentive not to disclose Madoff's role, especially to investors like Zuckerman" because he charged clients "substantial fees" to manage both his Ascot Partners LP and Gabriel Capital. The lawsuit claims over US$40 million in losses for placing his assets with Bernard L. Madoff Investment Securities LLC without his knowledge. Zuckerman invested US$25 million with Merkin's Ascot Fund in 2006 through his Charitable Remainder Trust or CRT Investments Limited and personally invested US$15 million with Merkin's Gabriel Capital. Merkin charged Zuckerman a 1.5% fee and imposed significant "lock-up restrictions on redemptions", but his agreement with Gabriel Capital contains an arbitration clause against Merkin for his lost personal US$15 million investment. The lawsuit also named the accounting firm BDO Seidman LLP and a related entity called BDO Tortuga as defendants. The case is CRT Investments Ltd. v. J. Ezra Merkin, 601052/2009, filed in New York State Supreme Court (Manhattan). Zuckerman considered challenging Kirsten Gillibrand for her New York United States Senate seat in the 2010 election, which was to be contested for the remaining two years of what was originally Hillary Clinton's second term; Clinton's appointment as Secretary of State created a vacancy that Governor David Paterson appointed Gillibrand to fill. Although Zuckerman has been known as a Democrat, he was speculated to run as a Republican or an independent in order to avoid an expensive primary. Critics pointed to apparent inconsistencies in Zuckerman's publicly stated positions on key issues. Wayne Barrett, of the Village Voice wrote: "If real estate titan Mort Zuckerman gets into the senate race against Kirsten Gillibrand, we'll finally have a vigorous debate about the big-ticket issues troubling Americans. All we have to do is listen to Mort and we'll get both sides of the key economic questions." However, on March 2, 2010, he declined to run, citing family and work obligations. ^ a b "The World's Billionaires (2016 ranking): #688 Mortimer Zuckerman". Forbes. March 1, 2016. Retrieved 2017-01-03. ^ "New York Magazine". google.ca. ^ "Mortimer Zuckerman two voices but both talking about himself". wrmea.com. ^ "Current Biography Yearbook". google.ca. ^ a b "Forbes 400 (2006)". forbes.com. ^ "Boston Properties Management bio". Boston Properties. Archived from the original on August 23, 2006. ^ "NEWSMEAT ▷ Mort Zuckerman's Federal Campaign Contribution Report". Newsmeat.com. Archived from the original on June 29, 2011. Retrieved July 17, 2011. ^ "Video – Mort Zuckerman Admits He Helped Write One Of Obama's Speeches". RealClearPolitics. July 12, 2010. Retrieved July 17, 2011. ^ Smith, Ben (July 13, 2010). "Zuckerman's contribution – Ben Smith". Politico.Com. Retrieved July 17, 2011. ^ "Mort Zuckerman Clarifies Obama Speechwriting Comment – US News and World Report". Politics.usnews.com. July 13, 2010. Retrieved July 17, 2011. ^ a b c Freeman, James (October 15, 2011). "The Exasperation of the Democratic Billionaire". Wall Street Journal. Retrieved October 15, 2011. ^ "Marla Prather, Mortimer Zuckerman". The New York Times. September 29, 1996. Retrieved May 13, 2010. ^ The McLaughlin Group 11/28/14. YouTube. November 29, 2014. ^ "The Rise of the Power Vegans". Businessweek.com. ^ "NY Media Quandary: Where is Daily News Publisher Mort Zuckerman? MIA as Paper Dissolves". Showbiz411. Retrieved September 30, 2015. ^ "With $200 Million Gift, Mortimer B. Zuckerman Endows Mind Brain Behavior Institute at Columbia" (Press release). Columbia University. December 17, 2012. Retrieved December 12, 2015. ^ "Opposition grows to publisherchairing top Jewish organization". jweekly.com. ^ "Dallas Jewish Week Zuckerman opposed for top Jewish post". dallasjewishweek.com. ^ "Bush Visit May Boost Olmert – May 13, 2008 – The New York Sun". Nysun.com. May 13, 2008. Retrieved July 17, 2011. ^ "Statement by the Press Secretary". archives.gov. May 12, 2008. ^ "Forward Motion". Washington Post. September 15, 2002. Archived from the original on May 26, 2006. Retrieved July 29, 2006. ^ "SEC 424B4 filing for Snyder Communications". US Securities & Exchanges Commission. May 21, 1998. ^ "U.S. News MediaKit" (Press release). Mediakit.usnews.com. Archived from the original on July 17, 2011. Retrieved July 17, 2011. ^ Stephanie Dahle (October 6, 2008). "Briefing Book: Mort Zuckerman". Forbes. ^ Bennett, Chuck; Rosario, Frank (December 14, 2008). "Daily news owner mort zuckerman madoff victim". NY Post. ^ Stephen Foley (December 16, 2008). "The man who conned the world". London: The Independent. ^ "SYNAGOGUE OF $UFFERERS". New York Post. ^ "usreport us madoff jews". ca.news.yahoo. ^ Hurtado, Patricia (April 6, 2009). "Zuckerman Sues Merkin Over $40 Million Madoff Loss (Update3)". Bloomberg. Retrieved July 17, 2011. ^ "N.Y. Daily News Publisher Mulls Senate Run". Newsmax.com. February 12, 2010. Retrieved July 17, 2011. ^ New York Times, February 12, 2010, "Zuckerman Is Said to Be Weighing Bid for Senate"
^ Smith, Ben (March 2, 2010). "Mort's out – Ben Smith". Politico.Com. Retrieved July 17, 2011. "Mortimer Zuckerman collected news and commentary". The New York Times.